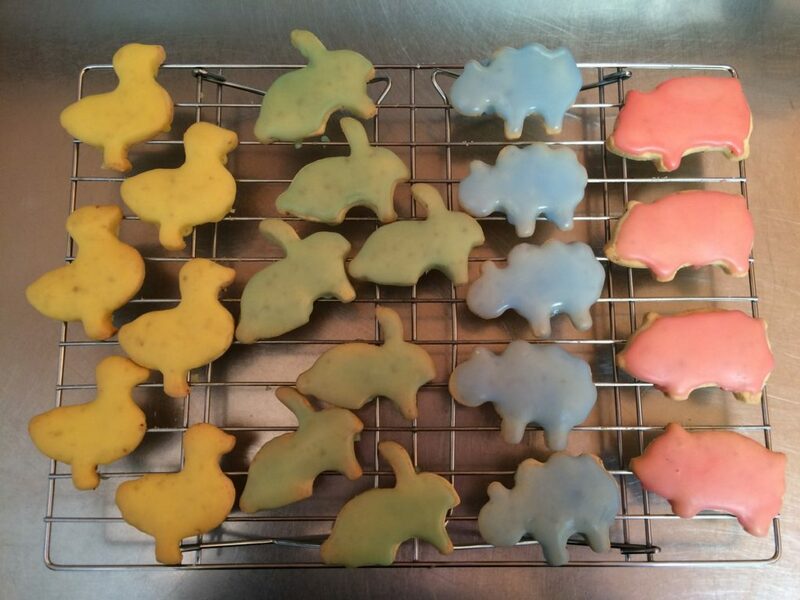 I decided to surprise my kids this school holidays by making our own Iced Animal biscuits. They always ask for treats like that in the cookie isle of the supermarket, but I’m such a mean Mum that we never get them (way too much sugar and artificial stuff for my liking)! As with most of my baking now, these are gluten free and have ground almonds for a little extra nutrition. 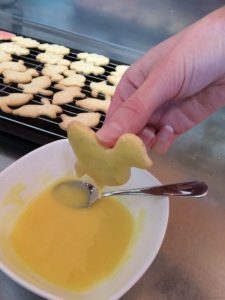 Because these have icing on them I used less sugar in the biscuit dough and I chose to use a basic lemon glaze for the top of these biscuits, rather than messing around with eggs making royal icing. This makes the icing slightly softer that the originals, but still just a delicious. 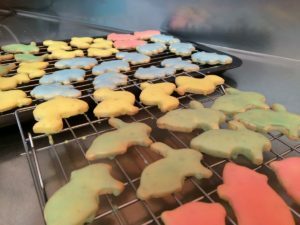 My 3 year old really enjoyed helping to roll out the dough and cut out the animals, but his favourite part was definitely tasting the icing as we dunked the biscuits (and getting all the drips off the bench top). 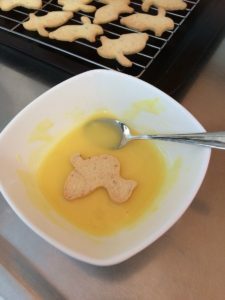 These Iced Animal Biscuits are Gluten Free and topped with a basic lemon glaze. Cream butter, sugar and vanilla together until pale and fluffy. Add in egg and beat until fully incorporated. Add in the flour, ground almonds and baking powder and mix until a firm dough forms. Add a little more flour if it's too sticky. Chill the dough in the fridge for 20 minutes. While dough is chilling preheat oven to 170 degrees fanbake. Once chilled roll dough out to approx 6mm, on a flour dusted surface and cut out shapes. Bake for 10 - 15 minutes till biscuits are a lovely lightly golden colour. Cool on wire racks. Once biscuits are cooled they can be iced. To make icing place icing sugar in a small bowl, add a drop or two of Naturally Colourful Food Colouring and a squeeze of lemon juice. Mix together to make a runny icing, adding more juice if needed. (I used 4 different colours and made up each one using about 1/4 cup of icing sugar). Place a biscuit face down in the icing, then carefully lift it up allowing the excess icing to run back into the bowl. 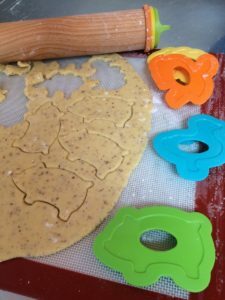 Alternately spoon the icing onto the top of each biscuit and spread it around. Let the biscuits set on a rack and then store in an airtight container.